Made and stocked for you to fit your old time waterbed. It’s Luxurious Custom Fit fit design not only pads the uncomfortable clammy surface of the vinyl, but also adds much needed breathability and protection to your sleep investment. 50% Cotton/50% Polyester Quilted Top: This quality blend of both synthetic and natural materials modernizes the design by adding both durability and function. Durable and Sleeps Cool: Made from 50% Cotton, it is perhaps our oldest, most sustainable, and most proven textiles that provides stronger threads for long life and also breathes for temperature neutral sleep. Function: Costs are out of control for natural materials. Our simple cost saving solution is mixing the construction content with 50% polyester fabric, a durable man made material that checks of the the important boxes. It is both durable and breathes. 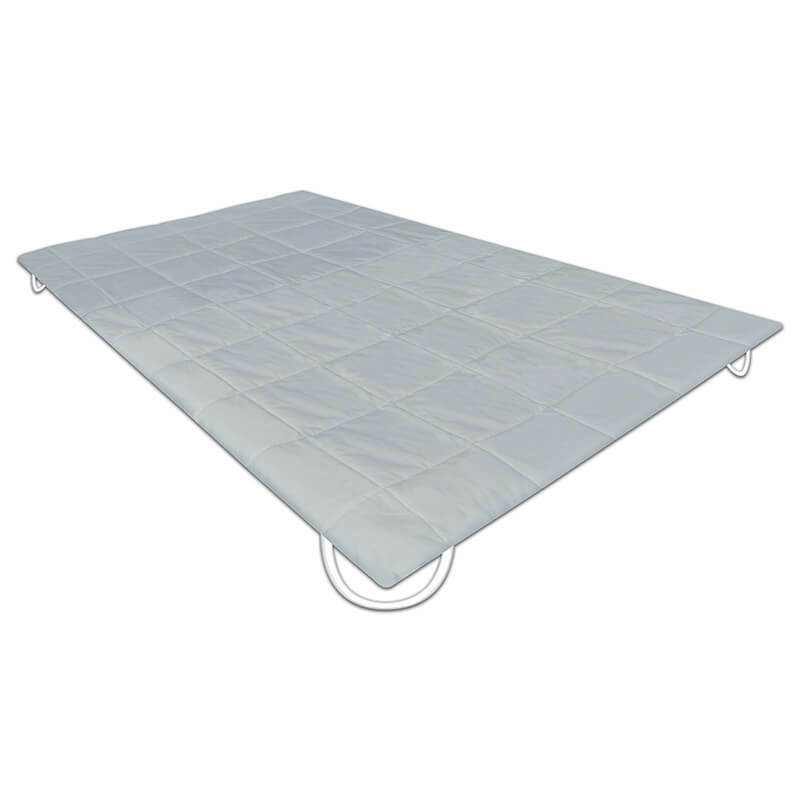 100% Premium Bonded Polyester Filling Retains Loft: Inside we stuff the quilting with fiber filling that adds loft and softness and promote better airflow to aide in providing a temperature neutral sleep environment. 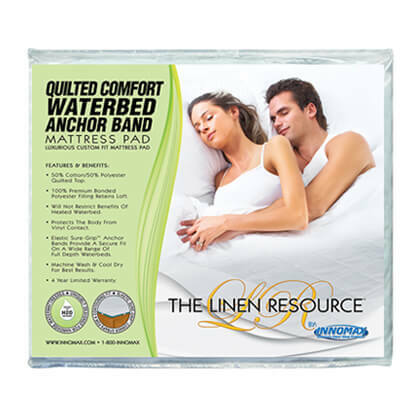 Will Not Restrict Benefits Of Temperature Regulated Waterbed: The added cover lays on the surface of your vinyl water mattress and, much like insulation in your attic, assists in holding in the warmth if you like to keep your water temperature elevated. Protects The Body From Vinyl Contact: With regular cleaning the pad acts as a barrier against body oils that can damage vinyl through absorption. Regular washings limits vinyl exposure and premature wear on your mattress surface. 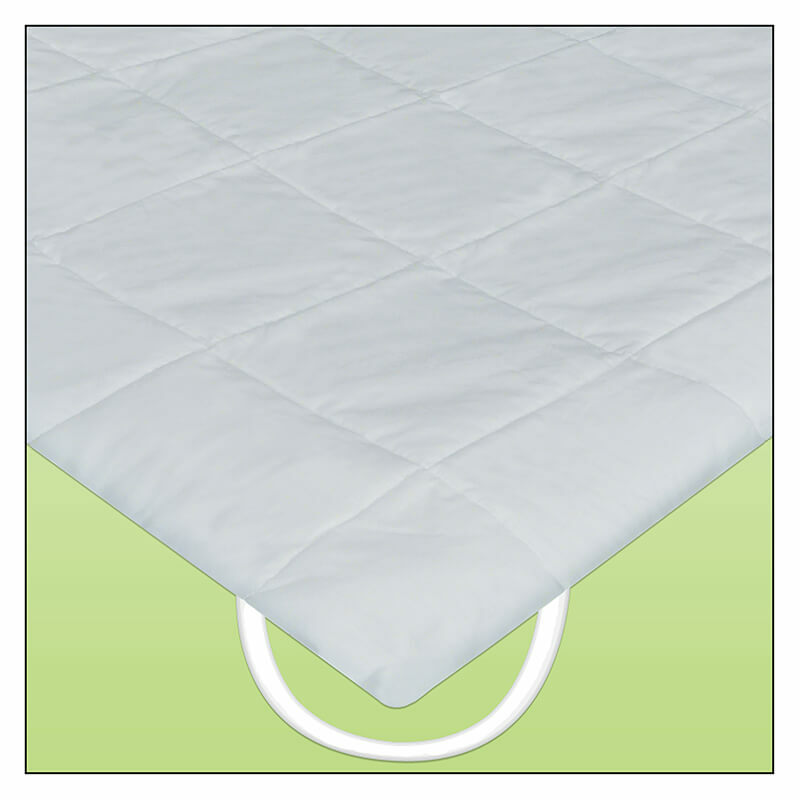 Elastic Sure-Grip™ Anchor Bands: If your mattress is filled to the proper level, a very secure fit is possible thanks to durable straps that anchor themselves under all four corners of the mattress. 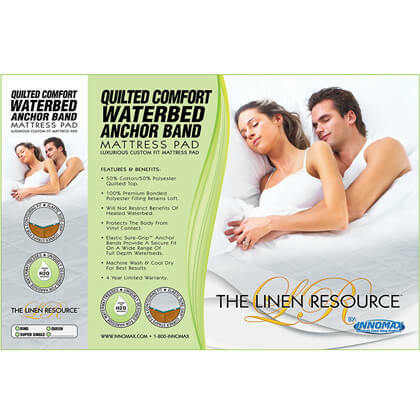 Wide Range Of Full Depth Waterbeds: Fits more sizes. Machine Wash & Cool Dry: Healthier sleep and better care are the result of regular care.